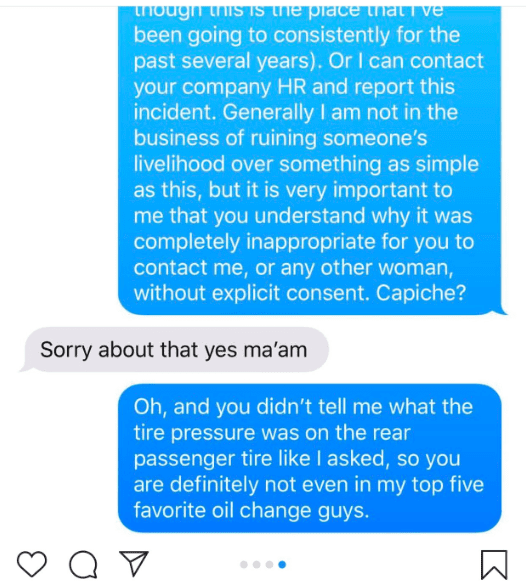 If there’s one thing that’s become clear in this #metoo era, it’s that many, many men don’t seem to get what women go through on a daily basis. 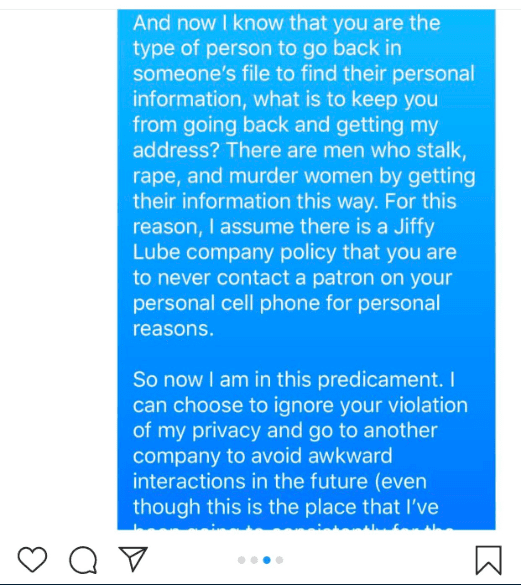 They also don’t often understand the difference between appropriate and inappropriate ways to approach a strange woman you might be interested in. 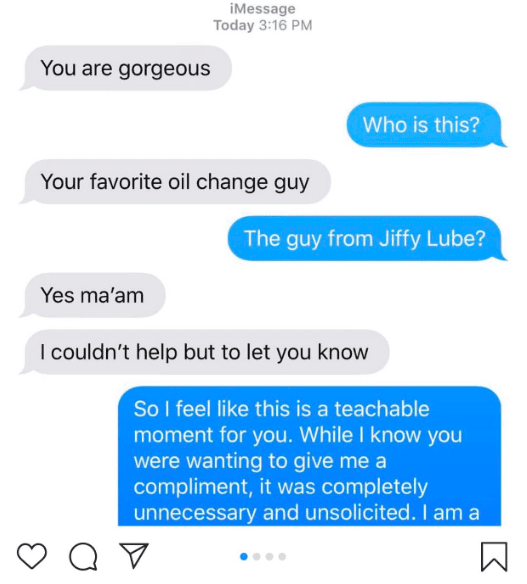 But this Jiffy Lube patron takes the opportunity to educate a man acting inappropriately – which is just one reason why this text exchange is awesome. 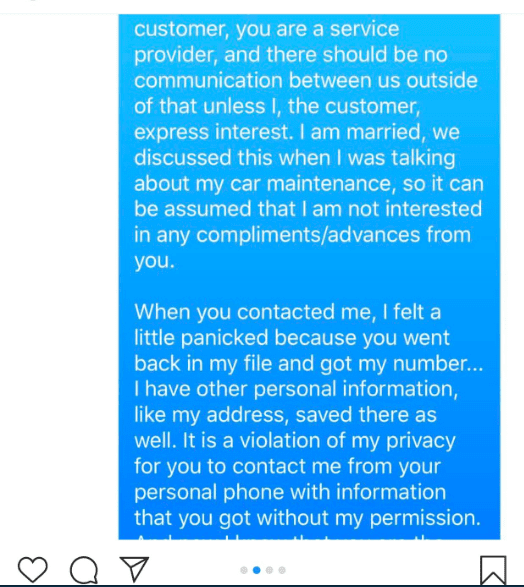 A woman posted it after her sister was texted by an employee at the Jiffy Lube she’d recently been to, and women everywhere broke into applause. I personally think this last bit is the icing on the awesome cake.